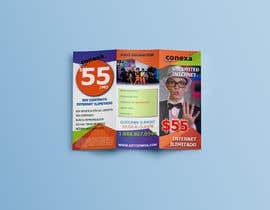 Conexa is a leading prepaid high-speed home Internet company that places an emphasis on supporting Spanish and English speaking homes. Our customers get an affordable month-to-month connection without contracts or credit checks along with payment option flexibility. Conexa is privately owned with customers across 21 states and 200+ cities nationally and utilizes strategic partnerships with payment locations and agents to reach and support the local community. We are preparing a major shift in our corporate identity and fee structure, with an emphasis on one primary service plan. 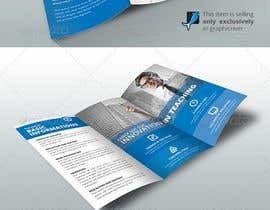 We have developed a mock-up brochure with all of the basic elements that we would like to see included, but the way they are presented is completely up to you as the designer. Attached to this is project is our current mock-up in PSD format and as JPG's. Also included are some illustrator files including our corporate logo and other corporate design elements. 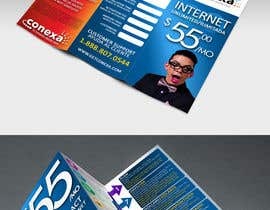 - Must be a tri-fold or accordion fold design. If you choose accordion style it must include the same number of panels as the mock-up (3 on each side). - Must include all of the disclaimer text currently on the brochure in both English and Spanish. - Must feature as much of the information as possible in both English and Spanish. - We're not opposed to a English side/Spanish side concept, but it must look good when folded and sitting on a counter. - Photos are attached including images for which we are the copyright holder of our spokes-family. We are focusing on using the bow-tie actor (who we affectionately call Johnny Bow Tie) as our primary spokesperson. Inclusion of Johnny Bow-Tie is not required, but is encouraged when possible. - Primary focus of the design should be on the one-price for one plan concept. - We focus on making Internet service simple and affordable, and the design should reflect that concept. 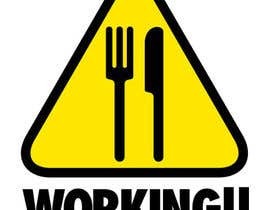 - Any stock images, vectors, or other graphics used in the project must be legal for mass reproduction. We didn't receive your submission, were you still working on this?